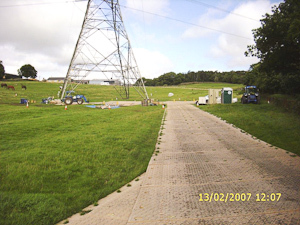 The Dura-Base ground protection mats provide a safe and secure working environment for your workforce, vehicles and heavy plant, and even track-layers. The composite mats allow constant, repeated heavy loads over protracted periods of time, with minimal detriment to the underlying surface or damage to vehicles. Dura-Base is laid on-site by Terrafirma’s crew using their bespoke trucks, with the unique Multi-Grab. Do your crews need to access submerged structures? 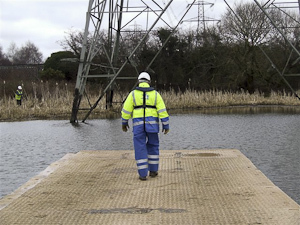 Dura-Base’s air tight honeycomb construction means it can be used as a floating pontoon, allowing staff to work safely in the most difficult situations. Unlike aluminium, Dura-Base composite mats present no theft risk, reducing the need for expensive onsite security and any resulting insurance issues. Farmland and pasture must be protected. 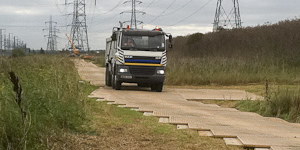 Using Dura-Base for your temporary roadway keeps environmental damage to a minimum and speeds ground recovery times. It can be used safely on the most sensitive surfaces. Unlike alternatives, Dura-Base is completely sealed, ensuring mud cannot ingress, so reducing the risk of cross contamination between sites. While other systems require rubber underlay, Dura-Base can be laid directly on tarmac, pathways, and even marble surfaces. 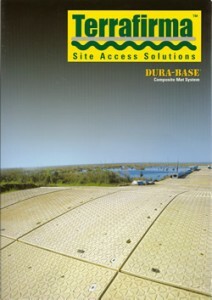 The Dura-Base mat was originally developed over a decade ago to service the oil and gas industries in the swamplands of the Gulf Coast, USA. 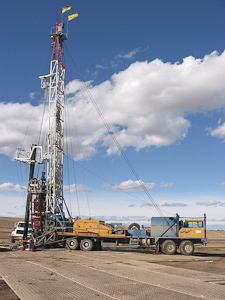 With this pedigree, Dura-Base is the logical choice for the UK’s burgeoning on-shore oil and gas industry, particularly in shale and coal methane. 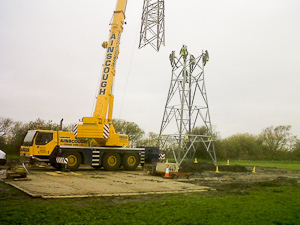 Terrafirma has already successfully assisted Green Park Energy with their drill and site platform needs. Click the image below to download the Terrafirma Dura-Base Roadways brochure (PDF, 1.7 MB).